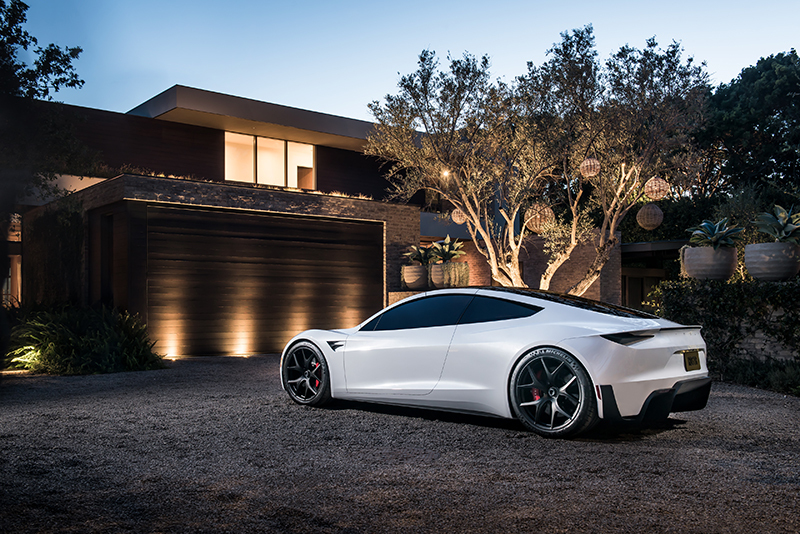 Tesla released new photos of its upcoming second-generation Roadster, highlighting what the automaker will be diligently working on from now until its tentative release date in 2020. The American automaker kicked off its presence at Switzerland's inaugural Grand Basel auto show by bringing along its very own pièce de résistance: the Roadster. 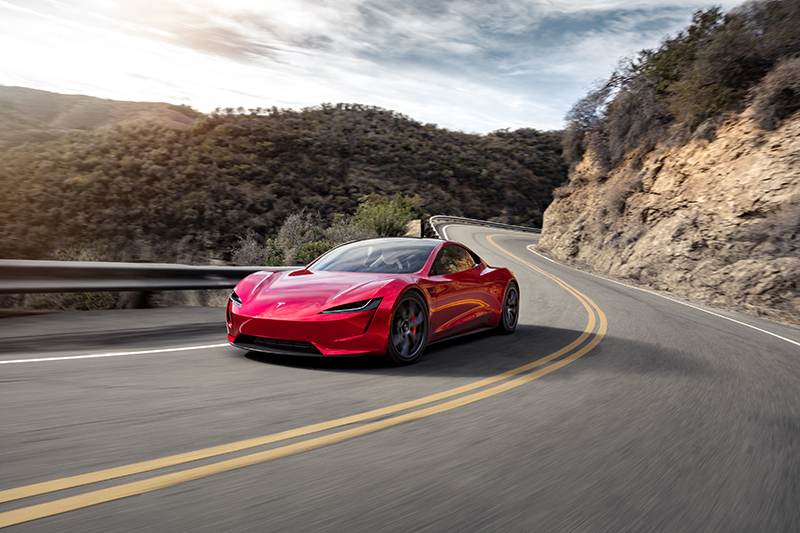 For those of us who can't take a European vacation to see the sheet metal masterpiece, Tesla graciously shared a few new photos of the new Roadster letting loose around the world. A few images show it traversing mountain roads, while another shows it parked in front of a residence seemingly belonging to the bourgeoisie. If Tesla has popularized one thing with electric cars, it's the uncontested acceleration of electric drivetrain technology. The Roadster in particular is said to make the sprint from zero to 60 miles per hour in just 1.9 seconds, a figure unheard of on a (future) production car. The on-paper figures and actual real-world performance have stunned the few who have gotten to experience a ride in the car. 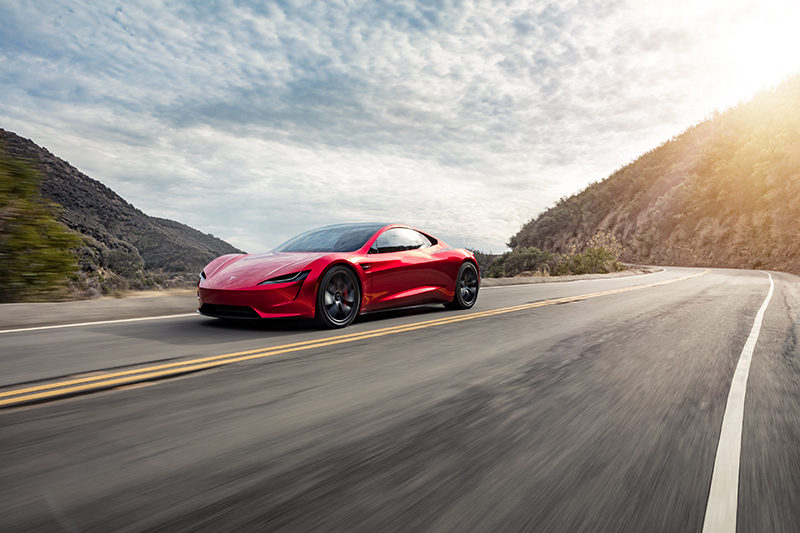 Alongside acceleration, the Roadster will reportedly run the quarter-mile in just 8.8 seconds and can achieve a top speed of over 250 miles per hour. Consumers can also expect a 600-plus mile range from the next-generation platform, claims CEO Elon Musk, thanks to a huge 200-kilowatt-hour capacity battery. The final product is slated to arrive sometime in 2020, although a more specific time frame hasn't been mentioned. Folks interested in purchasing a Roadster have to pony up a hefty $200,000 or more to purchase one of the first 1,000 Founder's Edition cars. For most of us, these fine photos will have to be the equivalent to window-shopping.